Do you want to receive the latest and most relevant educational news and more? Information about worldwide events, competitions, webinars and 7W ®Edu Future projects. Ability of self-presentation is one of the important competences that should be educated in every person. Ability of self-presentation is one of the important competences that should be educated in every person. Sometimes this skill is long asleep, but it often wakes up at the right time. The main thing is not to miss it and let it fly all over the Internet and offline space. 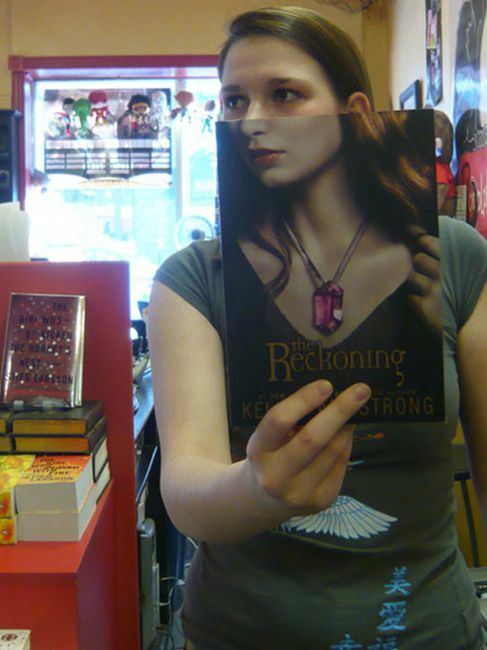 We want to tell you a fascinating story: a shopkeeper found an interesting hobby - to make a mosaic of people and books. The idea helped thereby to make the shop famous and at the same time to bring glory to the shopkeeper. Isn`t it an excellent example of an integrated approach to business, approach with imagination? After all, this is what we teach our children at our classes. Are there people who do not dream to get on the cover? To realize the dream you should just be in the right place, that is in the place where people with good imagination work. 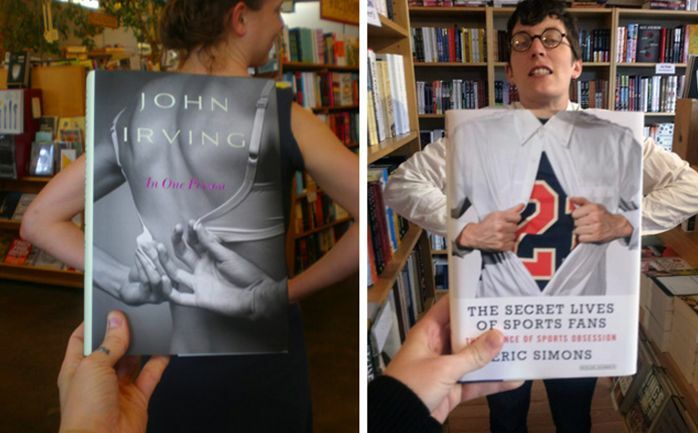 A shopkeeper in Los Angeles, Emily Pullen decided to combine books on the shelves with visitors using photos. 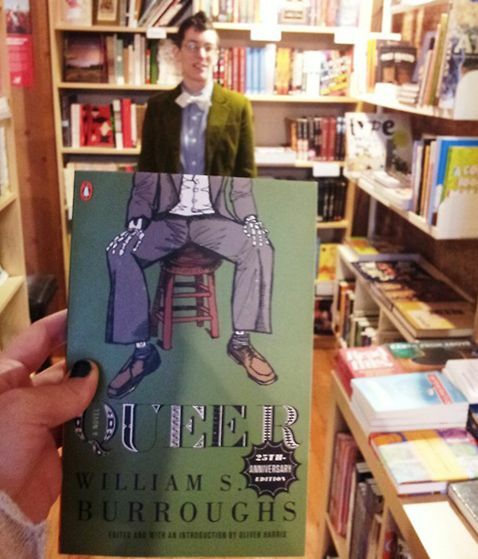 For every person who entered the store, Emily found a book with a picture on the cover that could complement the visitor's image. 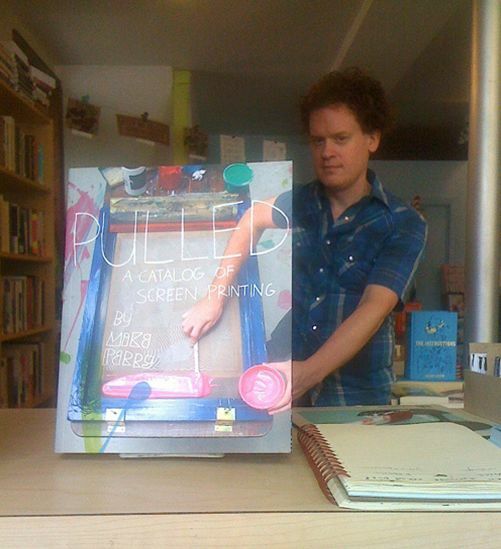 Thanks to necessary foreshortening the book became a part of the photo model. When work is performed by a creative person, everyone can turn into the main character of a novel or a photo model. Surely in your school there is such a term as vocational guidance. Probably, it has a different name - but the essence is the same: the teachers help pupils make decision as to their future profession. But have you ever thought that something really important could be missing in this matter? Changes in education are facilitated by the future: professions of the future, business of the future and competencies of the future. We can discuss a lot how to help children choose their future profession - to pass special tests, have practice at different enterprises or give them the right to choose themselves, let them do what they want. It is necessary to stay one step ahead of yourself. It`s already high time to define a number of professions of the future, which will become of high demand and cash-rich in 5-10 years. Shall we consider some examples? A doctor who heals well, knows languages, knows how to use the computer and understands business can have a better career compared to those who do not have these competencies. Cybersecurity specialists and practically “movie-like” cyberdetectives are no longer the future, but reality. There have already been steps in this direction. Soon the number of virtual projects and opportunities (and along with them crimes) will exceed the number of real ones. So, there will be a growing demand for people who understand this. The criminals will have to be caught online too. Good-bye, handcuffs and prisons. Now there will be a ban and lifetime blocking. We have already compiled a list of 100 professions that will be in demand in the near future. And children who want to earn more than their peers have a chance to get familiar with this list of professions right now in order to get ahead of others. And we will make it a rule to acquaint you with hundreds of professions, skills, competencies and opportunities that will open the door to the future every time you receive a letter from us. Students are sick and tired of school! These boring lessons! This tiresome homework! They wonder whether school lessons will ever become interesting and useful and knowledge will be necessary and important? 1) Apply your vivid imagination and imagine an incredible school of the future with a completely new approach to everything: other teachers, other texts and illustrations in textbooks, another assessment of knowledge and skills. 2) Find out that such lessons already exist. They have already been applied successfully by thousands of people. There are just some of those who, for some reason, appeared on the sidelines of the progress and are now rushing forward past the future. The first option is good and we have a link to such imagination. Next time we will see it. If you want to see the future of your children rich, successful and happy, then it's time to learn about a unique new content that gives a completely different level of knowledge, motivation and competence. Look at these case lessons that will unfix your ideas about interesting learning: market.edufuture.biz. Nowadays thousands of teachers in hundreds of schools in the world prefer these case technologies. Cases are especially popular with children, because such lessons have the main thing: knowledge (according to the school curriculum) and interesting presentation of the material, which triggers imagination, concentrates attention and deepens classical and modern knowledge. Among the ardent admirers of case lessons there are the representatives of the world elite. Recently Elon Mask stated that studying both mathematics and physics along with the humanities will be beneficial if applying such case technologies. Don`t you believe me? Google yourself. By the way, here is a good example why case studies are needed - this technique teaches us how to use available resources (search engines, social networks) and create new knowledge to change life on the planet. • Schoolchildren, teachers, methodologists and parents like them. They appeal even to that part of school administration, which is always unhappy with something and questions everything; • They are recognized as the most promising type of school activities; • They have received support of the progressive part of the pedagogical community and the world elite; • They have been approved by psychologists, technologists and academic community. The technology of cases creation is patented and has no analogues in the world. Their effectiveness is confirmed by modern trends in the development of education. It is important that an increasing number of experts from different countries are getting engaged into the development of cases and their application. Join now! 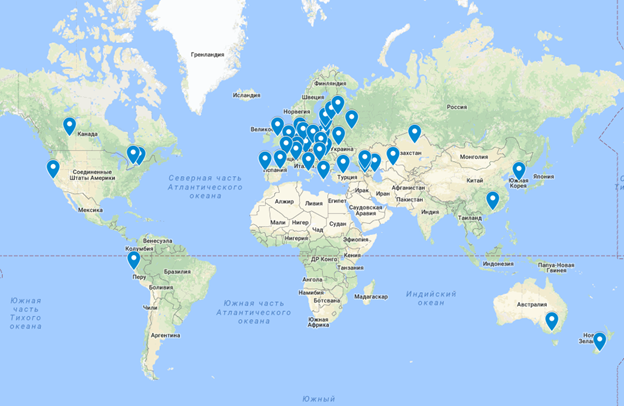 Write to info@edufuture.biz, and we will add your school to the interactive map that reflects the geography of cases in the world. We will be happy to answer your questions, consider your comments and suggestions! We are open for cooperation! Why should we look to the future? How the cases have managed to conquer the world!